There are 12 local and national banks serving the financial needs of their customers in the state of Hawaii with 267 branches in 40 cities and towns. You can click the logo of a bank on right to view the list of all locations of your preferred banking company in Hawaii or choose a city & town from the list below. 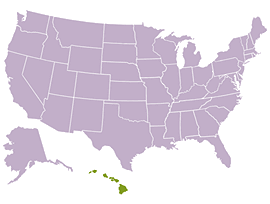 The largest banks in Hawaii with most branches are: Bank of Hawaii with 63 offices, First Hawaiian Bank with 55 offices, American Savings Bank with 49 offices, Central Pacific Bank with 35 offices, Territorial Savings Bank with 29 offices, Hawaii National Bank with 14 offices and Finance Factors with 13 offices.